health affirmation, and what's the best approach for getting the most from practicing healing affirmations? First, a key factor in making any affirmation on your list of affirmations work, whether they are positive affirmations for health or for other areas in your life such as weight loss affirmations or self love affirmations, it that you to believe that your daily affirmations for healing can work. So, your first step is to do include some daily positive affirmations that help you believe that your daily affirmations actually have the power to make a difference in your life. After you “start the ball rolling” to instill the belief that your health affirmations and other healing affirmations have the power to work, you'll want to include some self love affirmations. Because an important part of any healing is having the ability to love yourself, even though you are experiencing something unpleasant on a physical level. Many times, when someone is fighting a particular disease, they make the mistake of including the “name of the disease” within their affirmations for healing. But, this is not the correct approach because it focuses your mind on “the disease,” rather than getting well. So, now you know that whatever you include within your healing affirmations, whether they are “focused on disease” or “focused on what you want to become; i.e., healthy” is important. "My body and mind are filled with healing love and light." "I allow myself to feel healthy now." "I give myself permission to be healthy now." Then you can move onto including affirmations for healing that focus on the healing process because you already believe that your affirmation process has the power to work, as well as feel deserving of being healed because you have instilled a greater love for yourself. 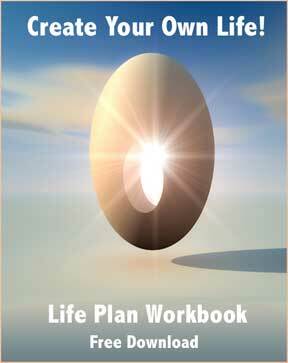 To help you find your priorities and find greater balance as you get started, I've written a free workbook, “How to Create Your Life.” Download my free PDF personal development - life plan workbook, which helps you create balance in your life as you move through change.